Jordan’s decision to begin supplying electricity to Jericho last Monday - coupled with Egypt’s intention to do exactly the same in Gaza - sends a clear message that perhaps the lights are at last being turned on for the first time in 40 years - possibly heralding the beginning of the end to the gloom and darkness that has marked the long running Arab-Jewish conflict over the territory once called Palestine. Jordan and Egypt have indicated they are acting out of humanitarian concern for the Arab residents of the West Bank and Gaza rather than seeking to again rule in the West Bank and Gaza as they respectively did between 1948-1967. However Jordanian political analyst Saleh Zaytoun has taken a different view and said this new supply does carry “political overtones” describing it as “reminiscent of the custodianship these countries once provided” in Gaza and the West Bank before they were removed by Israel in the Six Day War of 1967. Jordanian officials and even King Abdullah himself are trying to play down the political consequences of Jordan’s decision. However it is clear that any such action could only have been initiated with the consent of Israel - and the same would no doubt apply to Egypt’s decision to follow suit in 18 months time when the electricity grid to Gaza will have been completed. Fifteen years after Oslo and the creation of the Palestinian Authority designed to negotiate with Israel an end to the Arab- Jewish conflict, the Authority has been reduced to a powerless and ineffectual rump as its much stronger rival - Hamas - has taken control of Gaza and openly boasts that it can overthrow the Palestinian Authority’s rule in the Arab occupied areas of the West Bank whenever it chooses to do so. Five years of vainly trying to implement President Bush’s Road Map to create a new Arab State between Israel, Egypt and Jordan has also proved a disastrous failure. The involvement of the most powerful negotiating team ever assembled in the history of world diplomacy - America, the United Nations, Russia and the European Union - has not succeeded in even remotely translating the President’s vision into a reality. With President Bush set to stand down at the end of the year virtually everyone has now written off the Road Map’s end objective as “mission impossible” to achieve by then. None of the US Presidential candidates - John McCain, Barack Obama or Hillary Clinton - has made any commitment to seeing President Bush’s vision through to completion after he is on longer President. Any light at the end of the tunnel is rapidly disappearing despite the frantic efforts of negotiating teams from Israel and the Palestinian Authority to portray otherwise. The one positive and enduring aspect of Arab-Israel contacts has been the peace treaties signed between Israel and Egypt in 1978 and Israel and Jordan in 1994. Both peace treaties have withstood many pressures that could have so easily ended in their abrupt termination and have been maintained in the face of many attempts to seek their unwinding. It is a tribute to the political leaders in each country that they have resisted the temptation of giving in to such attempts. A peace treaty between Israel and the Palestinian Authority is impossible to achieve. The Authority’s demands for the return of every square metre of the West Bank and Gaza and the demand that millions of Arabs be allowed to settle in Israel are non-negotiable and cannot and will not be met by Israel. In adopting this stance Israel is supported by a written commitment given by President Bush. Jordan and Egypt are not blind to the bleak future that awaits the Arab residents of Gaza and the West Bank once the Road Map is finally pronounced dead and buried as appears inevitable when the next US President assumes office in January 2009. At this very moment the lights are being turned off in Gaza as Israel girds its loins for a vigorous response to the incessant barrage of mortars and rockets being fired daily from Gaza indiscriminately into civilian population centres in Israel. Establishing another Arab State in the miniscule area of land between Jordan, Israel and Egypt has always been a non-starter only kept alive by intransigent Arab League demands and the dream of a well intended but thoroughly misinformed President Bush who has become - as so many Presidents before him have found to their chagrin - a victim of bad advice furnished by a State Department staffed by a large team of former diplomats who served in 22 Arab States and 45 other Moslem States. Division of the West Bank and Gaza between Jordan, Egypt and Israel - by redrawing the existing boundaries between them - remains the one and only possible solution to ending the humanitarian disaster that is bound to occur unless the present stalemate is ended. 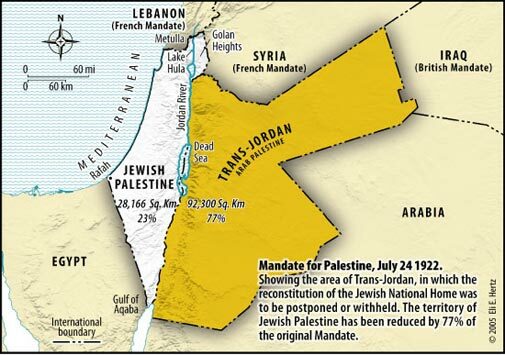 Jordan and Egypt need to at least resume the roles they occupied in the Arab occupied areas of the West Bank and in Gaza between 1948-1967 and assume control over the lives and destiny of the Arab residents. Neither the Palestinian Authority nor Hamas have proved themselves remotely capable of ending the conflict. Nor has the Authority or Hamas given up on their desire to see Israel wiped off the map - a fate they seem both destined to suffer themselves as a result of the opportunities wasted in years of fruitless negotiations and power plays between themselves. “Electricity” may indeed become the buzzword that electrifies the region into action. Let us hope that indeed we will soon no longer have 20 watt light globes trying to operate in 100 watt sockets.